They are tangy, crisp, melt in the mouth indulgences (there’s a reason they are one of Serendipity Street’s favourite canapés to make and serve). -Preheat the oven to 350° F (180° C). Whizz all the ingredients (except the rosemary and salt) together in a food processor, or rub them together with your fingers. Form into a roll, wrap tightly in clingfilm and put in the fridge for 20 minutes to firm up (this makes cutting it easier). -Cut into thin slices and place them on a parchment-lined baking sheet. Cook for 12 to 15 minutes, until golden on top. 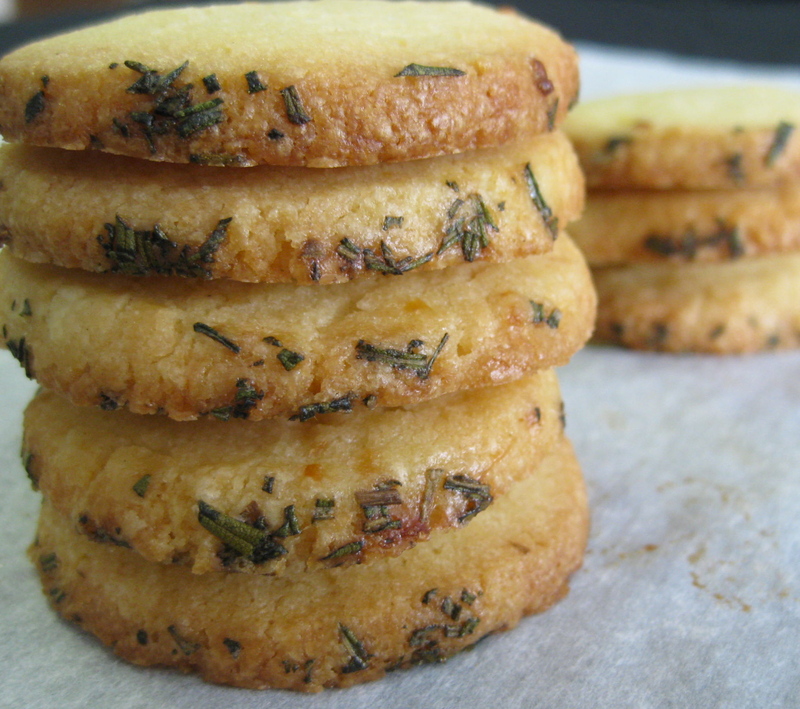 -If you want to add rosemary salt, grind the rosemary needles in a mortar with a pinch of salt and add a small sprinkle onto the sables when they come out of the oven. Alternatively, roll the dough in the mixture before slicing to creating a uniform rosemary-salted edge. Cool on a wire rack to let them crisp up.